You have completed a rigorous workout, but that’s not enough to get fit. To get the most from exercise and strength training, you need the best post workout supplements. 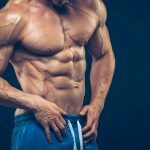 In this guide, we will review the top supplements online, and we will also provide information about post workout nutrition and the ingredients to look for. Following an intense workout, you need post workout snacks and supplements to rebuild muscle and regain energy. The post workout period is two hours after exercise, so make use of this time to give your body proper nutrition. The muscle building process, protein synthesis, takes place during the recovery period so take advantage of it. Sheer BCAA stimulates muscle buildup so you will bulk up more quickly after working out. At the same time, Sheer BCAA also reduces the amount of time needed for muscle recovery. The BCAAs in the product have been specially formulated so your body won’t feel as sore following an intense workout. The BCAAs also stimulate fat burning. Even when your workout is through, the formula promotes calorie burning so you bulk up and lose fat at the same time. Unlike other post workout drinks, there are no artificial ingredients so everything you consume is natural. Progenex is a chocolate recovery drink that’s designed to stimulate muscle buildup after the workout. It contains hydrolyzed whey protein isolate for quicker muscle buildup and recovery after intense workouts. Formulated for fitness buffs and athletes, Progenex is rich in amino acids that your body quickly absorbs. The whey protein in Progenex are of the highest quality, and they were broken down into small parts so your muscles receive them the quickly. 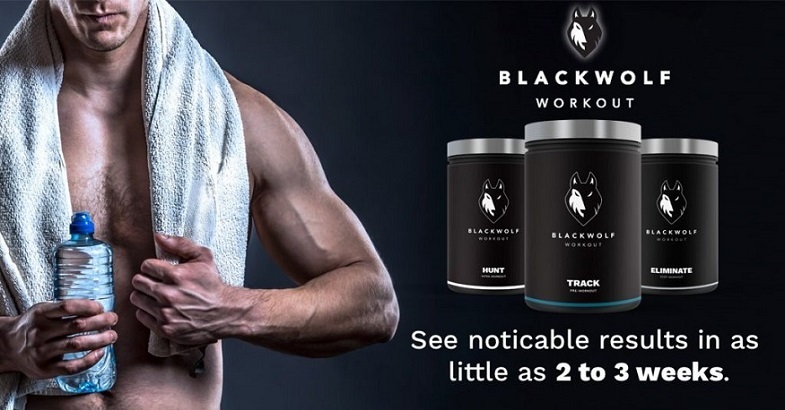 The formula allows for rapid absorption so you will recover faster following a heavy workout. Aside from chocolate, Progenex is available in strawberry, peanut butter and more. Gat JetMass is one of the top post workout supplements based on efficiency. It contains BCAAs, 2g glutamine, 5g Creapure Creatine and waxy maze, which acts as a glycogen loader. Formulated for athletes and fitness enthusiasts, it leads to quicker recovery and muscle gain. Its proprietary Creapure Creatine ingredient and the BCAAs stimulate muscle growth, better athletic performance, and greater muscle volume. With regular use, the supplement will lead to faster pumps and greater physical bulk. While the emphasis is on recovery, JetMass does a lot more. Vintage Build contains L-glutamine, creatine monohydrate and BCAAs, and this combination gives you real muscle, not just bulk. This post workout powdered drink quickens recovery so you feel energetic even after an intense workout. Furthermore, the ingredients act as body fuel so the next time you work out, you’ll be able to do more. Vintage Build works great with your favorite protein shake or just water. It doesn’t have any artificial ingredients so what you’re getting is pure. 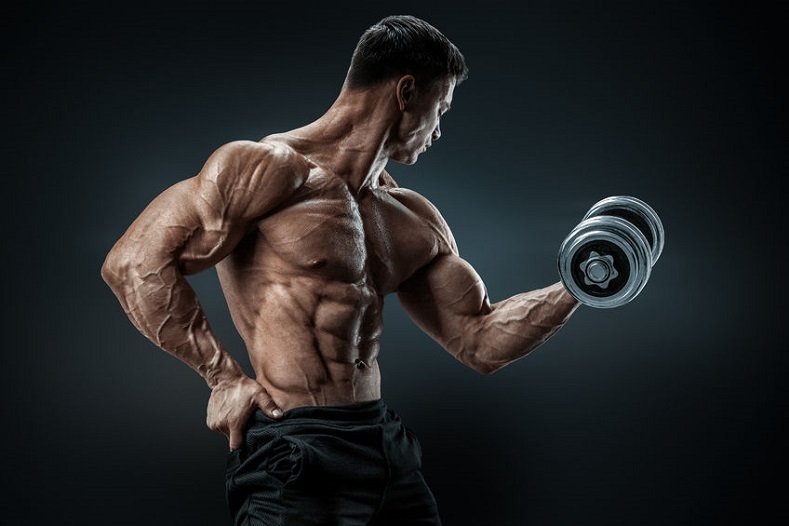 An integral part of the formula is its ability to stimulate lean muscle buildup. The drink is also ideal for women who want to add lean muscle. Promix contains 25 g of protein and 5.3 g of BCAA. It is also 100% free from sugar, gluten, and fat. Formulated as a pre and post workout supplement, Promix ensures your body fully optimizes the amount of work you put in the gym. The key is its amino acids which energize your body whether it is taken before or after workouts. Look up post workout definition and you will see casein protein as one of the key ingredients. The bottom line is with Promix, expect faster recovery time and muscle growth. The fact that it is free of fats and carbs says a lot about its quality. The powder can be mixed with smoothies, shakes or your DIY protein shake. Vitargo S2 is a pre and post workout supplement that allows your body to recovery quickly. The formula also acts as a brain booster, a muscle pump stimulant and increases blood sugar during workouts for more energy. While Vitargo S2 is primarily a post workout drink, its ingredients also do wonders as intra workout. Vitargo S2 has been tested so your body is able to recover energy within two hours after working out. If you run out of energy while working out, take Vitargo as it’s also an intra workout drink. The low osmolality also means there is no bloating or cramping you get with other drinks. Legion Recharge is right up there with the best post workout shake based on ingredients alone. It contains creatine monohydrate, L-carnitine L-tartrate, and corosolic acid. Creatine promotes muscle build during the recovery period and improves body flexibility and endurance. L-carnitine L-tartrate minimizes muscle fatigue and enhances insulin levels, while corosolic acid leads to better blood glucose control. With this combination, you get more out of the carbohydrates you consume after the workout. Legion Recharge also speeds up muscle repair and lean muscle preservation. Powerbuild serves as your body’s post workout fuel, stimulating lean muscle growth, strength, and power booster. Powerbuild also accelerates muscle recovery and reduces body soreness. The supplement also serves as a way to fight off the effects of overtraining. Powerbuild contains L-glutamine (5g) for rapid recovery, betaine anhydrous (2.5 g) for enhanced strength and beta alanine (2g for greater endurance. Other essential ingredients in the supplement are L-carnitine L-tartrate (2g), creatine monohydrate (3g), and L-leucine (4g). MHP Dark Matter earns a place in our list of the best post workout recovery drinks for several reasons. It is a supplement formulated to accelerate muscle growth, and it works by boosting protein synthesis. Dark Matter also expands cell volume and glycogen, both essential for the recovery process. Dark Matter also spurs insulin levels for quicker absorption of the nutrients, and it’s been optimized for rapid muscle growth. The supplement is available in different flavors, but they all lead to faster recovery and muscle growth. JYM puts emphasis on muscle growth post workout, and its ingredients have been specially picked for protein synthesis. The drink also tastes good so you don’t have to add any flavors that might dampen its efficiency. The potent combination of L-carnitine L-tartrate, taurine and glutamine also means shorter recovery times. JYM also contains BCAAs and beta alanine, both crucial for post workouts. 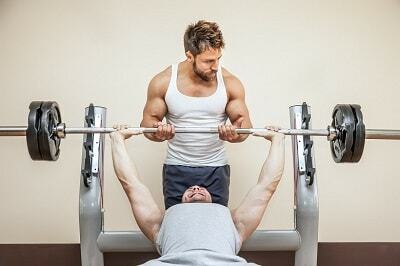 Together they fast-track muscle growth and repair. These ingredients also increase power and strength without compromising recovery and physical endurance. Your body’s fat burning is enhanced as well. Now that we know what does post workout mean, let’s take a look at the most common types of protein powders. Protein concentrates: these are obtained from whole food and comprised of 20% to 30% carbs and fats and 60% to 80% protein. Protein isolates: these are 90% to 95% protein and undergo more filtering than protein concentrates to eliminate carbs and fat. Protein hydrolysates: these come from heating enzymes or acids, breaking the link between amino acids. This enables your body to absorb protein and build muscles. Casein protein is best taken during meals or at bedtime. Don’t take this if your goal is to speed up an absorption of amino acids. Whey protein is best consumed pre, during and after working out. You need protein for muscle growth, but what is the best post workout protein powder? All products will say they’re the best, but there is no single right answer. What you need to do is choose the protein powder that matches your workout needs. For muscle growth: pick protein powders that possess high biological value, i.e. how efficiently it can be absorbed. Whey isolates and whey protein are your best options. Weight loss: look for shakes that are sugar-free. They must also be devoid of dextrins/maltodextrins (starch sweeteners). Look for those with low amounts or no BCAAs because BCAAs lead to weight gain and muscle growth. If you’re vegan, avoid protein drinks that are milk-based (like milk and whey) and choose plant-based proteins. Diabetics or with High Blood Sugar: avoid protein drinks with sugar (check the ingredients). Choose one that has low carbohydrates (5 grams or less). Read the product label. Take note of the ingredients and how much each nutrient is in grams, milligrams etc. We know that protein is important as is creatine and beta alanine. But there are other nutrients and ingredients that a post workout drink or supplement must have. The best post workout supplement has carbs because it serves as fuel for the muscles. Your body keeps carbs as glycogen and when you tire out it means a depleted glycogen supply. You shouldn’t consume just any carbs: choose those which are easy to digest. For high-intensity exercise, you need 3.2 to 4.5 grams of carbs per body weight. The more intense your workouts, the more carbs you’re going to need. But carbs are not just for pre workout. After an intense workout, you need a supplement that replenishes your body’s glycogen supply. Vitamin C boosts your immune system and fights off stress brought about by heavy workouts. It is also an antioxidant which helps your body cope with metabolic stress. Whenever your body is under pressure – like exercise – vitamin C will help it deal with the pressure. Don’t take more than 2000 mg daily. The minimum for women is 75 mg a day and for men 90 mg. Whether it’s a creatine post workout or whey protein, you will find BCAAs (branched chain amino acids) listed. BCAAs consist of valine, isoleucine, and leucine. Your body uses BCAAs to promote muscle growth, fix body tissues and digest food quickly. BCAAs also speed up muscle tissue repair. Leucine is the most important of the three because it repairs damaged muscles. Leucine is most effective in treating muscle tissues damaged by weight training or running. BCAAs also signal the body to repair damaged muscles so you recover quickly. You can consume up to 20 grams of BCAA daily, but dosage depends on your objectives. Your body’s supply of B vitamins gets depleted during heavy workouts, so make sure you’ve got the proper supplement. Vitamin B assists in the formation of red blood cells and food energy processing. Both B vitamins are anti-inflammatory and improve sleep patterns. In short, vitamins B12 and B6 enhance bodily processes so your body is ready for a heavy workout. The minimum vitamin B12 dosage is 2.4 micrograms. For vitamin B6, it can be anywhere from 1.3 mg to 100 mg.
You won’t find this stone fruit mentioned in many post workout nutrition guides, but it’s one of the better superfoods. Tart cherry promotes endurance and produces the same effect as NSAIDs (non-steroidal anti-inflammatories). If you feel pain, take a tart cherry and it works like an anti-inflammatory minus the side effects. A study conducted at Oregon Health and Science University in 2010 reveals that tart cherry juice speeds up recovery. All you need is one glass of tart cherry juice consumed immediately after workouts. What’s the secret? Tart cherry contains phytochemicals which energize the body. Studies have also shown other dark fruits like grapes and blueberries have similar properties, so you may want to check them out. It is hard to emphasize how important it is to take the best post workout supplements. As we have shown in this guide, your workout doesn’t end when you leave the gym. What happens afterward is just as important in terms of reaching your final goal. Hopefully, the information in this guide has helped and now you are able to choose the best supplements for your post workout.